You are here: Home / General Wellness / Dental Care / Coconut oil for teeth whitening: How to do it? 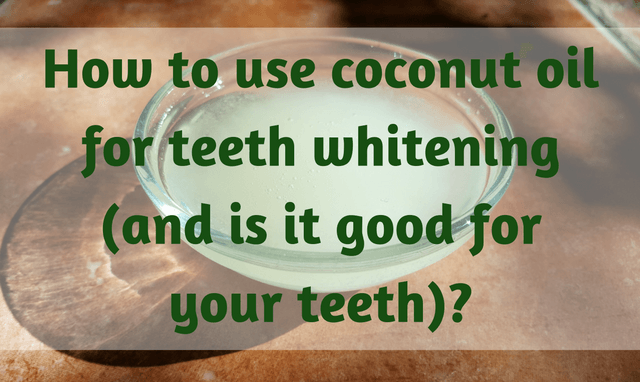 Coconut oil for teeth whitening: How to do it? The practice of Ayurveda is now making a return to our everyday lives, be it for health or beauty purposes. The best thing about using natural products for our well-being is that there are no side effects involved and we see results in a matter of a few days. Harsh chemicals such as triclosan do more than harm for oral healthcare, for which people have turned to using natural remedies such as coconut oil for teeth. Apart from using coconut oil for whitening teeth, it is used for reducing cavities, bad breath and yellowing teeth. It is equally good to use coconut oil for teeth and gums to treat inflammation, bleeding gums, throat dryness and cracked lips. Though using homemade recipes to maintain oral health is not a substitute for regular checkups with the dentist, natural products always seem to interest people because of its natural qualities. Moreover, oil pulling doesn’t involve chemicals as compared to bleaching and fluoridated toothpastes and is inexpensive and readily available. Relieved from the bitter taste from foaming agents such as surfactants, coconut oil can be safely used on sensitive teeth, teeth with dental fixtures, crowns or fillings. The process only consists of swishing oil around your mouth for 10-15 minutes in the morning and then rinsing with warm water. Alternatively, use coconut oil as a toothpaste to provide for a clean and healthy mouth. Though there are many variations of using coconut oil for teeth whitening, here are some simple techniques you can use to take full advantage of this magic potion. Though coconut oil for teeth whitening is a good option in itself, you can always mix it with other essential oils for added flavour and benefits. Essential oils have anti-bacterial and anti-fungal properties which will enhance antioxidant and medicinal benefits of the treatment. Options include wild orange, peppermint and lemon for daily use while clove oil, cinnamon oil or tea tree oil can be used as remedies for infection. As a precaution, do not swallow the oil as it contains bacteria but dispose it off in a container so that the liquid doesn’t clog the drains. For this procedure, mix two tablespoons each of coconut oil and baking soda in a container. Add peppermint oil to the paste, and then use the mixture as a toothpaste. Baking soda acts as an abrasive agent which helps in whitening teeth, while essential oils give flavour and therapeutic benefits to the toothpaste. For example, peppermint oil prevents the formation of biofilm formation which leads to cavities. A similar recipe includes the same coconut oil for whitening teeth but along with salt. Moreover, bentonite clay with coconut oil can be made into a paste, which is helpful in drawing out toxins from your gums and tongue. Another method to use coconut oil for teeth includes a formula which can be easily made at home instead of using fluoride toothpastes that can harm your teeth. Such harmful chemicals can actually contribute to throat dryness and teeth coating which can deter remineralisation. Making your own toothpaste is extremely simple and cheaper than conventional store-bought toothpaste, and also effective. The procedure consists of adding two tablespoons of baking soda to a cup of melted coconut oil on low heat. Next, add a tablespoon of powdered xylitol, a sugar substitute to the mixture and then add some drops of essential oil. Finally, allow the mixture to solidify and add in peppermint oil for freshness. Thus, coconut oil is not only just for whitening teeth but an equally efficient option for teeth polishing and sensitive teeth. An unconventional way to use coconut oil for teeth is to make a paste with baking soda and turmeric. Keep the product in a closed container and brush your teeth with it. Rinse well after use. This preparation will also help to remove toxic agents that can be caused by root canals and other fillings which can lead to infection or diseases in future. 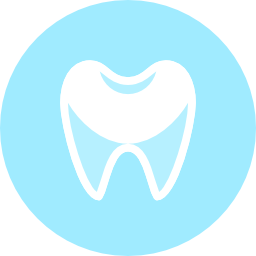 The above methods are safe and can be easily followed by slightly older children, pregnant women who need to take better care of their oral health and by those who have dental fixtures and fillings. Some rare side effects of oil pulling can include congestion, headache, nausea or mucus drainage which could be handled with a few uses. There are many varieties of coconut oil in the market, out of which organic coconut oil is said to be the best for oil pulling and teeth whitening. Moreover, extra virgin coconut oil is also said to be extremely beneficial for one’s oral health even when used in small quantities. So is coconut oil good for your teeth? Though no research has yet proved the benefits of coconut oil for teeth and gums, some studies do show its benefits on oral bacteria, cavities, plaque and microorganisms. Oil pulling also has the ability to wipe out bacteria in the mouth, which also reduces plaque and improves breath in the mouth. In addition to adopting coconut oil for teeth, it is also important to use a natural non-fluoride toothpaste. Minimise your sugar and grain intake and avoid processed food whenever possible. Follow a wholesome balanced diet so that you get the important nutrients that you need for strong, healthy and white teeth. Apart from using coconut oil for your teeth, you can also enjoy the benefits of chewing parsley, mint, cucumber or ginger slices which will help you freshen your breath. Though the effects of using coconut oil are not visible immediately, you will see positive results with some amount of time and patience. At the end, keep in mind that a clean and healthy is very important for an overall good appearance and the use of a natural remedy will always yield optimum results. With proper use, time and patience, the homely coconut oil will shine and strengthen your teeth with its excellent benefits. I am glad I checked this out .I heard coconut oil is good for you now I know how to do it. Very helpful. Very Nice Tip Jane sheeba, Thanks for sharing here. I strongly agree with you, coconut oil is a great product. Well no doubt coconut oil is beneficial for teeth in many ways. But I want to add something here. Maintain your diet , use more of green vegetables. You guys will feel the difference.